Dell EMC - Fast, secure, scalable Cloud computing - Exponential-e Ltd.
Meet the transformation demands of modern IT: operationalise flexible private Cloud models in less than 24 hours. The 60% year-on-year growth of data for organisations is driven by digitalisation of services and increased levels of content sharing and collaboration. Traditional approaches of multi-tiered storage appliances are no longer relevant in a Cloud-native world. With effective Information Lifecycle Management (ILM) strategies you can optimise data storage spend during digital transformation and enable next-generation application infrastructure. 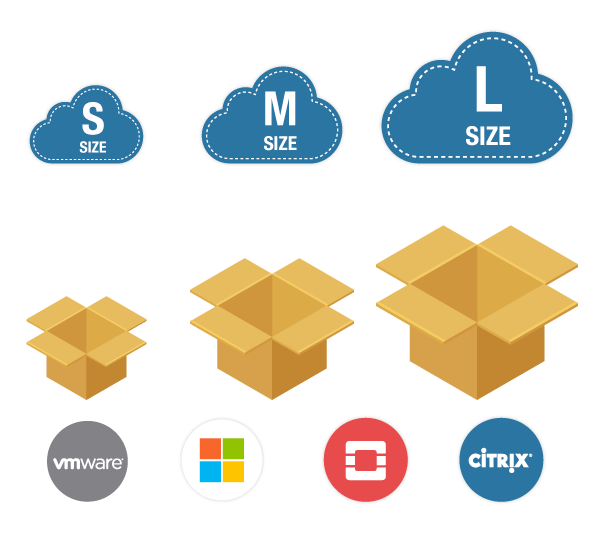 Exponential-e’s S4 Cloud Storage provides a multi-purpose, software-defined object storage solution to deliver fast and dynamic provisioning of resources. See how Exponential-e can help you optimise your data strategy and support wider security, archive and long-term data retention needs. How is Hyper-Converged Infrastructure changing private Cloud deployments for good? Hyper-converged technology has evolved into one of the fastest growing areas in the private Cloud arena. The combination of storage, computing, networking and the virtualised management software in a single node enables high density data centre architecture. The single nodes can be clustered and managed together as a pool of resources, increasing scalability and enhancing resilience. These centralised and integrated services reduce operational management time and infrastructure costs within the data centre. Following extensive testing, Exponential-e has partnered with Dell EMC VxRail to deliver hyper-converged private Cloud architectures which can be operationalised within hours of delivery, fully integrated to our Cloud Management Platform. The result is rapid project implementation using a rich range of supporting hybrid Cloud services. Reference Source: IDC White Paper, “The Business Value of Modernizing Infrastructure with Hyper-Converged Systems,” October 2017. 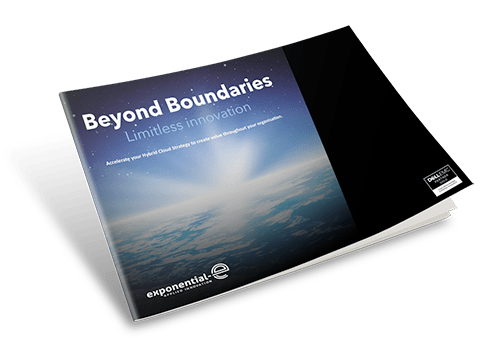 'One bill' is part of Exponential-e's innovative 'Power of One' service framework. 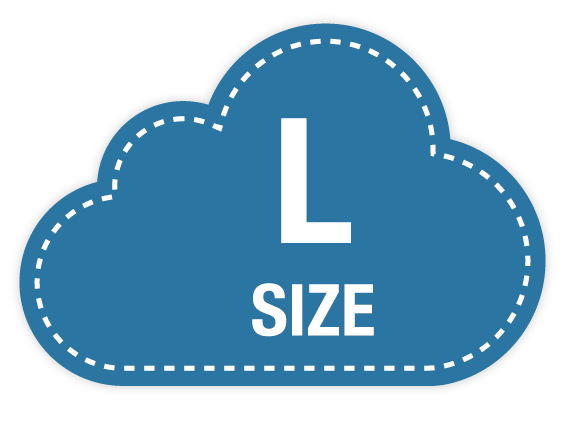 What the ‘Power of One’ means to our customers is a new consolidated view with the ability to integrate and centrally control your private Cloud infrastructure together with wider Cloud services. 'Power of One' is enabled through the single-service infrastructure of our Cloud Management Platform (CMP) and by the account novation process. The end-result? You’ll pay for all of your Cloud services at once, with only one centralised bill required. Exponential-e provides a series of pre-packaged hyper-converged private Cloud architectures for speed and flexibility. Standard service models integrated into the Cloud Management Platform (CMP) will accelerate deployment, simplify migration from your existing on-premise infrastructure, and enhance your existing Azure and AWS services. To rapidly get our customers going with Hyperconverged Private Cloud we have a series of standard service models that can be taken with integration pre-built to our Cloud Management Platform (CMP) allowing linkage with your existing on premise infrastructure enhancing your migration path, or integrated to any Azure and AWS services already in operation. 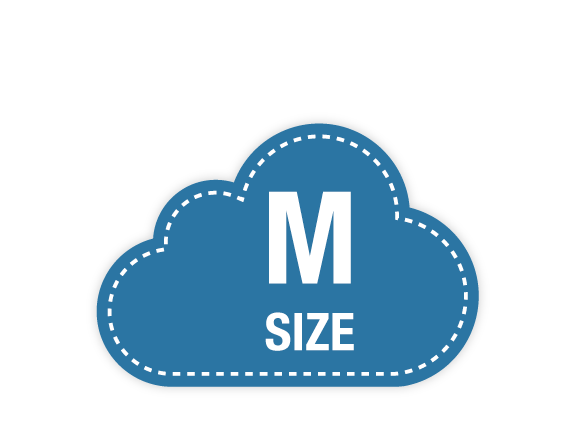 The ‘T-Shirt’ concept starts with three core configurations, each that can be modified if required for ‘Memory Enhanced’ or ‘Storage Enhanced’ modules based on your application performance / data needs. The team is on hand to support you, to look at the best options for you and your business, along with assessments of private vs public service models. Building a digital transformation strategy? Set up a free session with our CIO and consultants team to discuss Cloud transformation options and how to embed the CMP in your service integration and management (SIAM) framework. Already on a digital transformation journey? Want to rapidly get the benefits of CMP and hyper-converged infrastructure within your business? Get straight to the point with our Cloud Solutions Consultants and Specialist team. Discover how your technology can bring value beyond the boundaries of traditional IT with integrated Private and Public Cloud solutions. Exponential-e to Deliver Dell EMC VxRail Appliances for Private Cloud Deployments. Cloud Management Platform - Enable your IT as the Cloud-native internal service provider.